The food is one of our crowning achievements in recent years. We believe this is our crowning achievement in recent years. 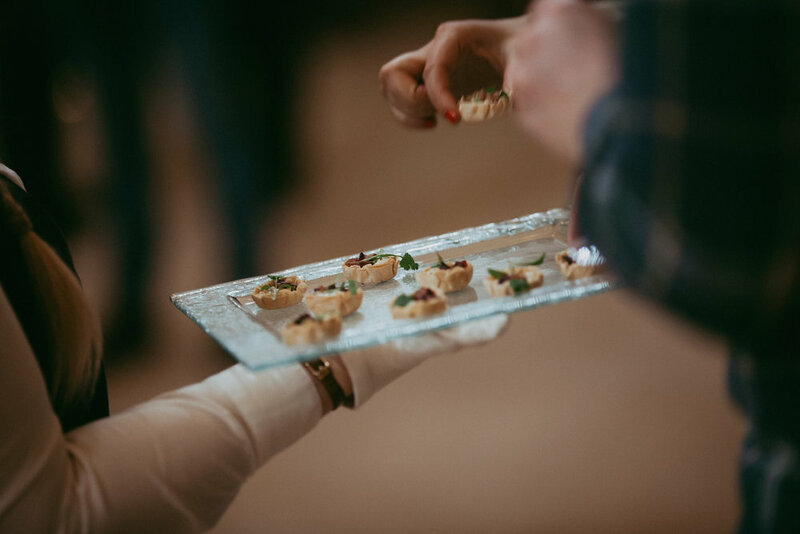 In 2015 we decided to bring the catering side of the business in-house. 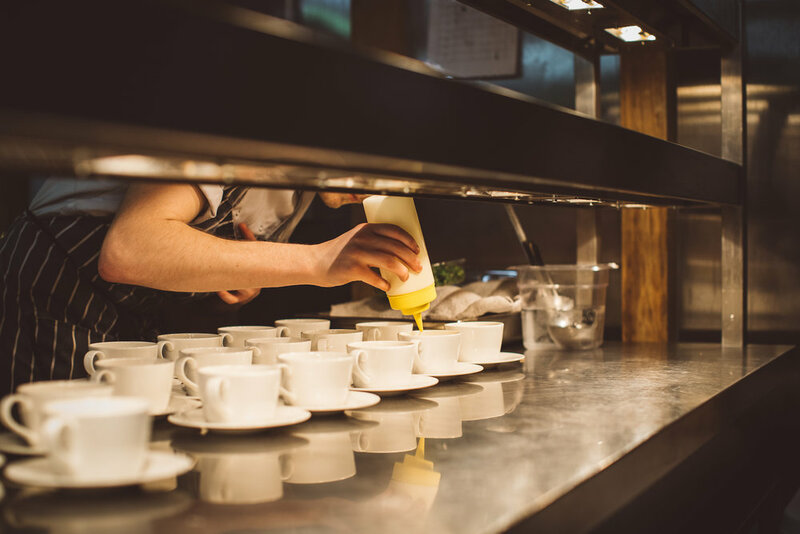 The desire from the outset was to create restaurant quality food on a banqueting scale and the team have worked hard with Head Chef, James Crank, to produce a menu that clients will adore. Hearty, yet refined dishes are designed with quality produce and presented in a unique way. 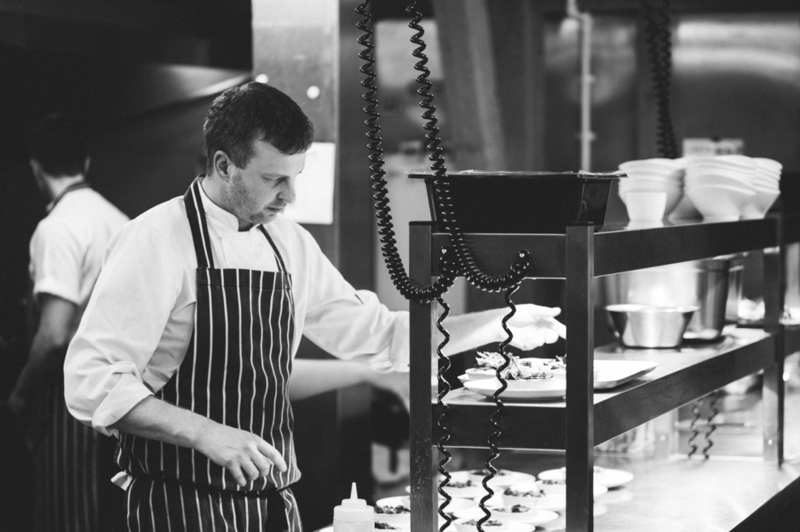 James has been on a fantastic journey working in some of Kent and London’s finest restaurants. He is most proud of his time with Scott Goss at The Swan and with Marcus Wearing at The Berkeley. James started his career training at Mid Kent College and later returned there to teach here when when he returned to Kent. It was here that he saw the potential in one of his students Amber Kent, who is now his sous chef and second in command at The Old Kent Barn. All of our exceptional suppliers are passionate about what they sell. Meat is bought straight from source at the market and the Barn supports local suppliers like Griggs in Hythe (another family run business bringing the freshest, highest quality fish) down to Vanes Bakery in Dover, a bakers established over 25 years ago, and still using traditional methods. Please download our latest menus here. 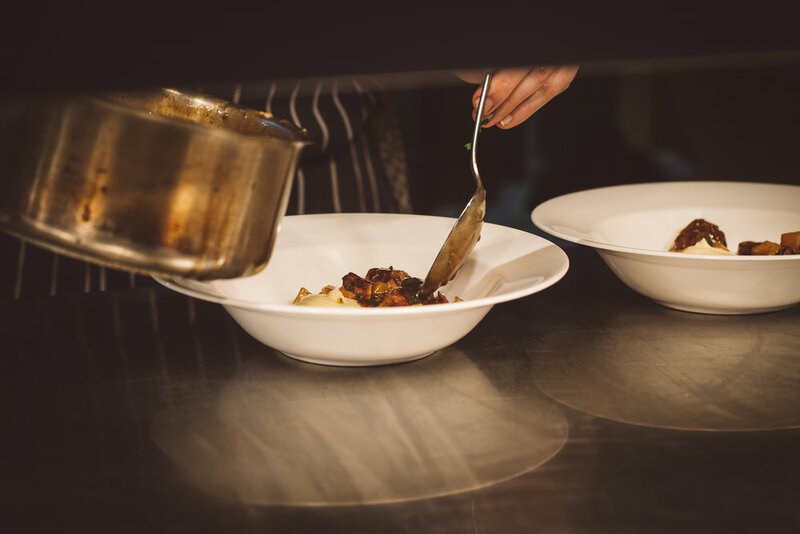 We take pride in ensuring every dish is thoughtfully created, freshly prepared and beautifully presented for you. We can also work with you to re-create family favourites and international cuisines.